Parkside Commons Apartments offers four distinct layouts to fit the needs of individuals, roommates, and families. Apartment homes range from 615 to 975 square feet and have one or two bedrooms. 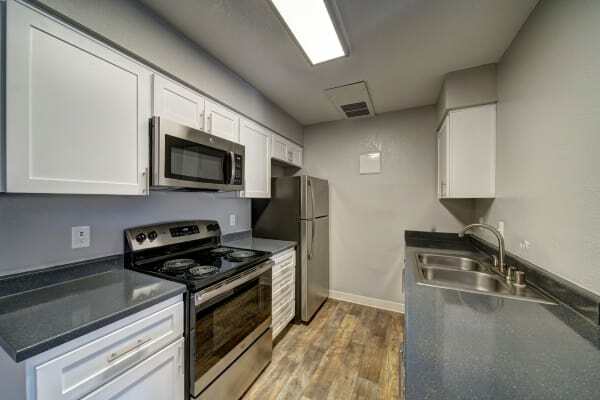 Our largest unit is a two bedroom townhouse with two bathrooms and extra closet space. Homes are designed to maximize living and storage space, giving you a variety of options for arranging your furniture and storing your belongings. Select one and two bedroom units have an exterior storage unit, kitchen pantry, and utility room. There are two options each for one and two bedroom apartment homes. One bedroom homes range from 615 to 630 square feet. These floor plans may include a kitchen pantry, walk-in closets, or storage unit off the balcony or patio. Choose between two floor plans with two bedroom apartments, ranging from 885 to 975 square feet. The smaller apartment features a master bedroom with large closet and bathroom. The largest unit is a two bedroom townhome with utility closet, hall closet, and large dining area. 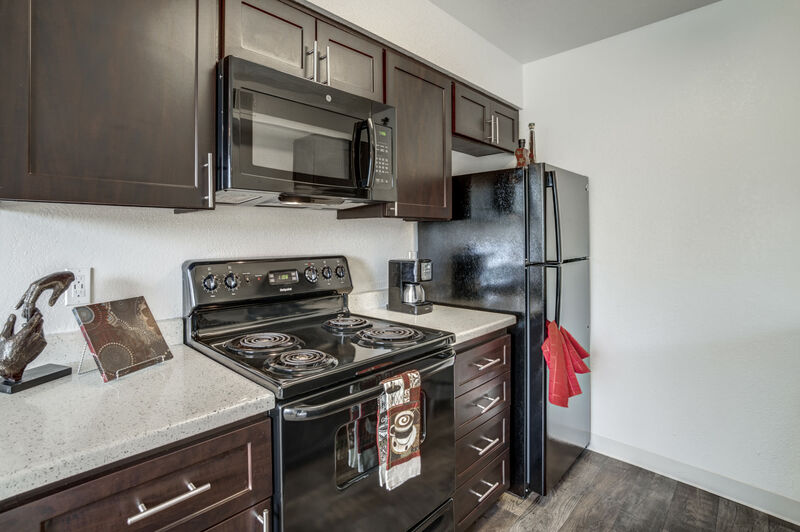 Every Parkside Commons Apartments home features hall closets, galley-style kitchen, and private balcony or patio. Take a look at our four unique floor plans, then call us to schedule a tour of the one that works best for you.